There are three things certain in life- death, taxes and a new JRPG on the PS Vita from Compile Heart released every single week. Seriously, how many JRPGs developed by Compile Heart have I reviewed during my two years working with CeX so far? I've lost count but it feels like a lot. Then again, with the PS Vita's sales slowly starting to pick up in recent months, it's good to know that Compile Heart stuck with it through thick and thin, and were one of those few developers who focused their efforts towards the little, powerful and, quite honestly, hugely underrated hand-held. So I wasn't surprised when this latest JRPG popped up on my radar. However, while some of their efforts have been pretty awesome, there have been a few that just fell into the gaming void of mediocrity, destined to languish an eternity alongside games like Heavy Rain. This latest Compile Heart title certainly isn't their best, but neither is it a bad game. It's a mishmash of games industry jokes, cutesy characters, somewhat generic combat and a lot of customization. Developed by Compile Heart and Idea factory and out now on the Playstation Vita comes Hyperdimension Neptunia Re;Birth2: Sisters Generation, a decent and well rounded JRPG that also has the longest, most annoying name in the history of gaming. Like seriously, I have cntrl-v at the ready for a name like that, man. Re;Birth2 is a remake of the 2010 Playstation 3 title Hyperdimension Neptunia Mk2, the second instalment in the Hyperdimension Neptunia franchise that is an ever growing series on PS3, PS Vita and, soon enough, PS4 as well. Before we get into the plot of Re;Birth2, what's important to know going into this series is that it's one giant parody of the games industry, with various characters, monsters, items, locations and events being named after developers, publishers, consoles and even well known brands of pirating software like the R4 card. Some are in your face while others are quite subtle, but as most of the games humour is based upon this concept, if games industry humour doesn't sound like your thing, then you might end up hating Re;Birth2. The game is once again set in the land of Gamindustri, which is comprised of four major landmasses; Lowee, Planeptune, Leanbox and Lastation. Gamindustri is under threat from Arfoire, a villain who is backed up by four powerful and equally evil guardians, who wishes to defeat the four goddesses of the land and claim Gamindustri for herself. It's up to our heroes Nepgear, Compa and IF to save the day, which means they'll need to venture across all four landmasses of Gamindustri, recruit team members and ultimately face Arfoire in combat. The characters all look as if they belong on a body pillow being held by a very lonely person, and if playing a game that features these kinds of characters puts you off, then Re;Birth2 isn't for you. Sadly getting from location to location and city to city only happens on a 2D world map, as opposed to it being one large open-world. It's a disappointment for sure, but once you enter a location the 3D visuals are colourful, nicely designed and aren't that much of a downgrade from the original PS3 release. As expected with a game like this, conversations in Re;Birth2 are played out with cardboard cutout-like characters, but these only partially animated sprites are brought to life by voice acting. It's not stellar or ground breaking stuff, but it adds a certain aspect of charm to the game that dead and stagnant text just wouldn't have. Combat falls in line with the likes Mugen Souls in the fact that it's a turn-based system, with the ability to freely move throughout the battle. Once in combat with a foe you can freely run around the battlefield, work out what attack you'll go with next and even place yourself in a better strategic position. From simple attacks, combos, special attacks that use up points to powerful and devastating moves that take time to build up, combat in Re;Birth2 hits all the typical notes you'd expect from a JRPG. Nothing is out of the ordinary as the game has little or any innovation. That said, you can have the ability to customize your characters which is a nice little addition to gameplay. From changing your characters outfits to collecting materials across Gameindustri with which you can craft new weapons and items, customizing your team in Re;Birth2 is fun, often intricate and adds a layer of originality to the experience that's pretty satisfying. It's by no means a perfect game, but Re;Birth2 is worth playing. Sure it has painfully cutesy characters, a combat system you've played before in other (and better!) games, but for the bizarre games industry focused story and writing alone, it makes for a different, weird and enjoyable experience. 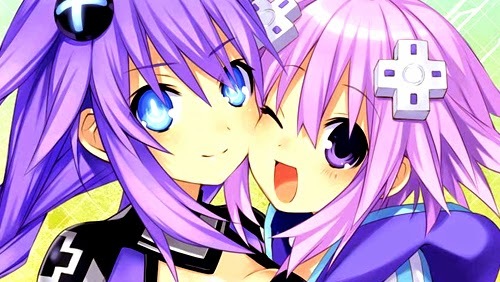 Hyperdimension Neptunia Re;Birth2: Sisters Generation gets a 3/5.